Here is a link to the survey results. I would like to thank David Packer and the TESL NS conference organizers, as well as ISANS for inviting me and for this opportunity to speak with you today. Here we are in 2018. We live in Mi'kma'ki. We live in Nova Scotia. We live today in both physical and digital spaces. We live in places that are contested and plural, and hold many different languages, ethnicities, and ways of thinking. We live in places where language, over time, has been colonized, and within this colonization are deep-seated gender and language biases and inequalities. It has taken settler cultures a great deal of time to admit and recognize this colonization, and to begin to make amends. Language instructors and academic support professionals work within constraints. We follow teaching guidelines, pedagogies, and curricula that we often do not have the opportunity to influence. Further, digital platforms are embedded in our work, and the digital is changing how we work. It has also deeply affected academic writing and language. This is a new space––a digital space. The digital is here, it’s dominant, and, because the digital media is constantly changing, it affects change––which creates uncertainty. And, like Nova Scotia, digital spaces and platforms have been colonized, with deep-seated biases, inequalities, and corporate consumer interests. The students we encounter also live within these constraints. My son, for example, is now doing nearly all his school work on a google chrome book, on a google platform, at school, constructed and shaped by a corporation. Conceptually and practically, technologies and literacies are essentially inseparable (NCTE, 2016). Digital ways of thinking are embedded in our own and our students’ concepts of both living and learning. These are, according to Leander and Boldt, “an existential social companion and learning appendage” (2013). In my own work, I direct a writing centre, a software support centre, and an EAP/writing support specialist. Digital platforms enmesh software and writing, and dictate the kind of writing that can happen, whether it’s MS Word or Excel or learning management systems. There are biases in the language and tools that we use. I’ve called this talk Plurilingualism Can Do Some Work because I see a great many similarities between plurilingualism and multiliteracies. I see this playing out in academic supports all the time. From the Common European Framework, Plurilingualism is “an uneven and changing competence” where “plurilinguals have a single, inter-related repertoire that they combine with their general competences and various strategies in order to accomplish tasks” (CEFR, p. 28). Multiliteracies is also about combinations of competencies and strategies. For the purpose of this talk I want to think about language broadly to contain digital tools and platforms. I want also consider how students negotiate between these digital languages. Students might be competent with digital tools, but usage does not make them literate. We may be competent in teaching with these tools. But are we literate in the language of these tools? 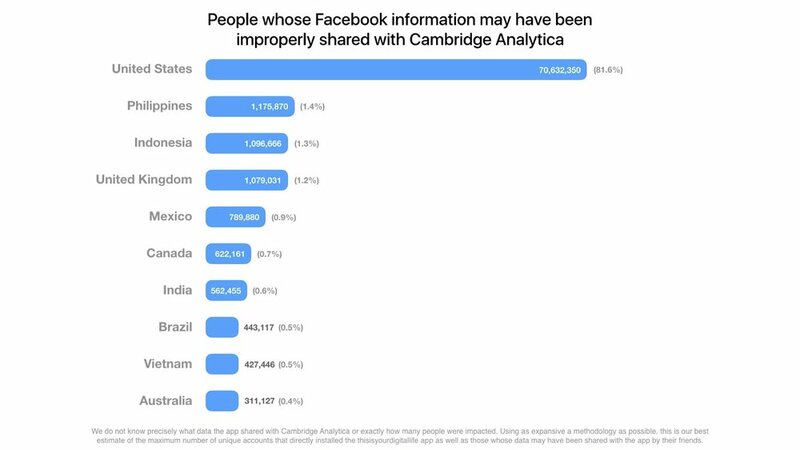 The 2016 US election, Cambridge Analytica, and massive manipulation of data shows that while we may be digitally literate––the digital language keeps changing (Facebook, 2018). We are only beginning to understand the biases within these digital tools. They are not free or universally accessible. They are corporately owned and not inherently democratic. The idea of multiliteracies grew out the work of the New London Group in 1996, at the beginning of the Web, as a way to promote education diversity. Their work is based on the concept that “the mission of education…is to ensure that all students benefit from learning in ways that allow them to participate fully in public, community, and economic life” (Cazden, et al., 1996). Multiliteracies respond to new “text forms associated with information and media technology.” It also accounts for “differences of culture, language, and gender,” as well as economic, social, and educational inequality, as well as language” (Cazden, et al., 1996). If multiliteracies purpose to make things more equitable and diverse, in 2018 we need to ask––to what extent can these tools decolonize knowledge and expression, if they are proprietary and, to a large extent, English-language driven? To show the everydayness of digital bias, let’s do a demonstration. I’d like you to take out your phones and open your messaging app. Hopefully, you have your prompt function turned on. I’d like you to type the following, “The doctor said.” What is the pronoun that is prompted by your phone? Now try “The nurse said.” Again, what is the pronoun prompted? Ok - now try “the professor said.” You can have fun with “engineer,” “pilot,” etc. Interestingly, when I type in doctor, I get the emoji for doctor, both male and female, but the skin colour of the emoji is white, while I left the emoji skin colour on my phone on the factory settings, which are not white. You can do the same with google. Try a google image search of professor, doctor, nurse, or engineer. It reveals the depth of gender and racial bias within these now vital systems, the same systems we use to instruct and support our students. I took this example for the You’re Not So Smart podcast, Machine Bias (November 20, 2017), a link to which I’ve posted on the page I created for this talk. You can get to the page through the conference website. Machine bias is based on the past. The data that provides the prompts in your phone comes from a past understanding of the questions asked. Each time someone types, “The doctor said,” and then clicks “he,” this gendered response is re-enforced in the algorithm of the app. In the past in Nova Scotia, as in most of North America, political history is similarly constructed––history of language, rhetoric, and pedagogy is complex and certainly gendered. The Mi'kmaq language and its dialects, have been spoken continually in this place for 13,000 years (Nova Scotia Archives, 2018). Mi'kmaq is one of a few North American Indigenous languages to have a developed writing system that pre-dates European contact. Mi'kmaq and its writing system were colonized by the French in the 18th century. The French Catholic clergy developed pedagogies based on this language colonization to Christianize the Mi'kmaq, for assimilation and subjugation. The English simply picked up this colonization, which continues to today. Education policies and pedagogies under the English in Nova Scotia focused on white settlers, and most often broken down along sectarian lines. Protestant higher education began in 1803 with the founding of King’s College (now Kings College University), in Windsor, NS. There is little doubt about the intention of the school. Here’s a school board member, Alexander Croke, regarding the schools purpose. King’s College is to assimilate “the rising generation to those of the parent state…to teach the genuine use, practice and pronunciation of the English language, which in distant colonies is to apt to degenerate, and that the purity of the language…is undeniably to be found in the Kingdom of England” (Vroom, 1941, p. 37). It doesn’t get much more colonial than that. Thomas McCulloch, first Principal of Dalhousie College, 1838 (Dalhousie, 2018). It’s also in the early 19th century that non-sectarian education was first attempted in Nova Scotia, or at least a version of it. Thomas McCulloch, later first principal of Dalhousie College, founded Pictou Academy 1816 on these principles. His idea was to provide an education free from religious influence (or free-ish), as well as to provide an approach to rhetoric and language-learning that put students first. He brought these ideas with him as principal of Dalhousie in 1838. If learning Greek and Latin, for example, put in jeopardy a student’s ability to suceed, Latin and Greek, were “a waste of human life adapted neither for the circumstances or the prosperity of Nova Scotia” (Hubert, 1994, 31). McCulloch further writes in 1838, “the community will join me in affirming that…sound judgment [in students] is more valuable than a sackful of words.” It should be noted that McCulloch was known for his writing humor, and he is being provocative here. His Stepsure Letters (1821-1823) were a great influence on Thomas Haliburton’s Sam Slick. You can also read McCulloch’s book, The Nature and Uses of a Liberal Education (1819) which is quite an interesting read. In 1959, Daniel Fogarty, the Dean of Education at Saint Mary’s University, published Roots for a New Rhetoric. Fogarty was a Jesuit priest and Saint Mary’s was a Catholic university, so the institution’s sectarian position was clear. Yet, Fogarty’s rhetoric looked forward: he says, rhetoric “will need to broaden its aim until it no longer confines itself to teaching the art of formal persuasion but includes formation in every kind of symbol-using” (Graves, 1994, p. 130; Graves quoting Fogarty). Roger Graves, who writes on Fogarty’s work in Writing Instruction in Canadian Universities (1994), positions Roots for a New Rhetoric as a foundation for rhetoric studies in Canada. This history, though brief, shows the development of language and rhetoric throughout the colonization of Nova Scotia. It’s in this that the 2018 Common European Framework appears. Like McCulloch and Fogarty, the Framework asks instuctors to “design curricula and courses based on real-world communicative needs, organized around real-life tasks and accompanied by ‘Can do’ descriptors that communicate aims to learners” (p. 28). It also asks language teachers to “work backwards from what the users/learners needs” (CEFR, 2018, p. 26). The starting point is the student. Can multiliteracies provide for students to fully participate in their learning and community? Can digital tools do this work, if the purpose of these tools is to create revenue for corporations? For linguist Suresh Canagarajah, in his 2002 book, Critical Academic Writing and Multilingual Students, the embedded inequity of Western society and culture is due to the gatekeeping of “disciplinary communities.” Access is blocked by those in authority “wielding standardized forms of language and discourse.” He also says, “As for mixing non-Western languages, there are strict constraints on how much” of this “will be appreciated” (p. 220). Further, “What is valued in Western communities is competence in economically profitable languages” (p. 220). This is why digital media is dominated by English in Canada. What these show is that we now live in media, no longer with media. Digital media has become invisible, and we are living, what Mark Deuze (2011) calls, “a media life.” The medium is even now more so the message––technological structures and format informs content, syntax, grammar, and spelling, which then informs style, pedagogy, and instruction. This then ultimately affects knowledge production and acquisition. “Not really…They don’t necessarily have to be emojis—you could go ‘clip art’ if we’re bringing it back a little bit” (Slate, 2018). This example show several things regarding emoji as language. Here we have language standardization––a kind of discounting of dialects––of the emoji (Cheese on the bottom! Can’t do that!). Boxberger also reveals a possible derivation of emoji, “clip art.” Older folks––they speak clip art! We have been colonized by these digital languages, just as we have been colonized by digital platforms––MySpace, Netscape, AOL, and now Google and Microsoft, Facebook and Instagram. We speak their languages and we speak through these tools. In the case of Alexa, Echo, and Google Home, they speak to and for us. These digital languages and platforms have mapped themselves onto our lives. In the writing centre, a long-standing pedagogy in writing centre practice is to work on paper––at SMU, student must bring a paper copy of their assignments, as well as a hard copy of their writing. In this way, students can see the physical and changeable process of drafting and revising, working with pencil, paper, and eraser. Now, as many assignments are delivered wholly online, this pedagogy has changed. As a result, tutoring sessions are now mediated through a digital device and platform. The change is significant. Beyond time lost working with the device and the platform (finding the file, getting wifi), the student’s ability to see drafts, notes, and idea scribbled on paper creates a loss of process, a process where learning takes place. What is needed, then, is to create a space for students that is both supportive of writing and digital platforms. This can happen with the integration of both digital software and writing support in one unit. What SMU has been attempting is to integrate these traditionally separate services, not only under one unit, but in the tutors who support students. We have several tutors who work both in the writing centre, as well as the software support centre. Applying concepts of multiliteracies allows for an expanded view of digital tools as well as the labour required to support students in 2018. We need, as education professionals, to become not only competent in the digital tools we use, but to become literate in the language of digital media. We need to hire multilingual tutors who can provide second-language writing students with first-hand writing strategies. We need to become proactive to end embedded biases in digital media tools and software. We need to enact literacy strategies and policies which account for plurilingual students. And most importantly, we need to create visions for teaching and academic support that is framed in social justice modelling. Faception is a facial personality analytics technology company. “It must be evident that one college will be ample for the literary wants of Nova Scotia, and perhaps the adjoining Provinces, for several centuries” (Vroom, 1941, p. 64; speaker unknown). Canagarajah, A.S. (2005). Critical academic writing and multilingual students. University of Michigan Press: Ann Arbor. Denny, H. (2010). Introduction to “multiliteracies, social futures, and writing centers.” Writing Center Journal. 20(2), p. 29-32. Fogarty, D. (1959). Roots for a new rhetoric. Bureau of Publications: New York. Harvey, D.C. (1938). An introduction to the history of Dalhousie University. McCurdy: Halifax. Kearns, J. & Turner, B. (2008). The historical roots of writing instruction in Anglo-Canadian universities. Zeitschrift-Schreiben, 1–8. Soja, E.W. (2010). Seeking spatial justice. University of Minnesota Press. Trimbur, J. (2000). Multiliteracies, social futures, and writing centers. Writing Center Journal. 20(2), p. 29-32. Vroom, F.W. (1941). Kings College: A chronicle 1789-1939: Collections and recollections. Imperial Publications Co: Halifax. Younging, G. (2017). Elements of Indigenous style: A guide to writing by and about Indigenous Peoples. Brush Press: Winnipeg.